Ruth Cunningham’s settings of two poems by Elizabeth Cunningham. Setting of What If (poem by Elizabeth Cunningham ) followed by an Improvisation with Ruth Cunningham Voice, James Waldo, cello. Filmed by Paula Kimper. Excerpt from a longer video called Sound Journey..
Ruth Cunningham is a classically trained musician, a sound healing practitioner, and a founding member Anonymous 4. She combines these skills to improvise music that connects people to the healing and spiritual power of music. She specializes in improvisational sacred music from varied spiritual traditions in both liturgical and concert settings. Her solo program Light and Shadow encompasses a mixture of music including several traditional chants from Western and Eastern traditions as well as Ruth's own compositions and improvisations. The texts include Medieval Latin Marian texts, Sanskrit texts, prayers, and poems by Ruth's sister Elizabeth Cunningham. She accompanies herself on Medieval harp, Renaissance flute and recorder, piano and shruti box. With Anonymous 4, she performed in concerts and festivals throughout the United States, Europe and the Far East and made twelve recordings with harmonia mundi and one, Voices of Light by contemporary composer Richard Einhorn, for Sony Classical. After leaving Anonymous 4 for a number of years to study music and healing, Ruth rejoined the group in 2007 and sang with them until the group disbanded in 2015. 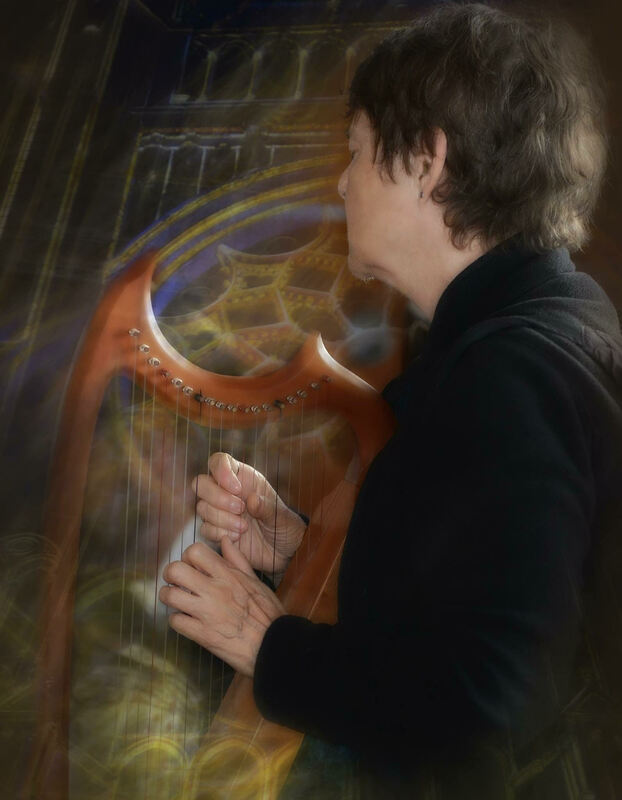 Ruth's most recent CD releases are Light and Shadow: Chants, Prayers and Improvisations and Harpmodes: Journey for Voice and Harp. She has released two CDs of multi faith chants with colleague Ana Hernandez: Blessed by Light and HARC: Inside Chants. Among her other recordings are Sacred Light with harpist Diana Stork on the At Peace Music label and Ancient Beginnings which is part of the Open Ear Center’s music for healing series. She is featured on Invoking the Muse a CD with Frame Drummer Layne Redmond released on the SoundsTrue label. She was part of the women's ensemble of Early Music NY and participated in their CD Music of Medieval Love . She has also performed and recorded with the Renaissance vocal ensemble Pomerium. She is a regular member of the professional choir at St Ignatius of Antioch in New York City. As a sound healing practitioner, Ruth works with individuals and groups on using the voice and music as tools for healing and transformation. She collaborates with other healers and musicians in a variety of settings and is interested in integrating sound healing and performance. Ruth played and taught a sound healing class for the Integrative Stress Management Program at St Vincent's Hospital in NYC from 2001-2007. In 2001-2002 she was among the musicians who offered their services at St. Paul's Chapel, which served as a refuge for the workers at Ground Zero. Ruth received a B. Mus. in Performance of Early Music from the New England Conservatory of Music and taught recorder and renaissance flute at the Amherst Early Music Workshops for sixteen years. She is certified as a cross cultural music healing practitioner (CCMHP) by the Open Ear Center where she studied with Pat Moffitt Cook. She has also studied vocal improvisation with Rhiannon.